Today I went for a walk down an asphalt covered path. It was a lovely day. The late summer sun was bright and strong, yet the impending autumn season imparted a crisp coolness to the air. I felt strong. I felt good. I breathed deep, receiving a fresh, renewing nourishment. To my right, I saw a dirt path and decided to leave the asphalt, as the path was surrounded by more trees. More natural quietness. A creek. You know, more real. The first thing I noticed was more bugs. Tons of fall-hatched grasshoppers hopping my way. More mosquitoes. Swat. Swat. Then, I noticed some dirt and pebbles slipping into my shoes. I never can tie my laces tight enough to keep the dirt and pebbles out of my shoes on a dirt trail. Ah. But still! What a lovely day! Fill those lungs deep then a little deeper still. But darn. There’s a pebble too large to ignore. I don’t want to stop and pause. I want to keep going. Niggle. Niggle. Perhaps if I shake my foot around I can dislodge the pebble to a better spot. Shake. Shake. Step. Step. But no. The pebble feels to be growing larger with each step. This must be addressed. I bend down and pull the shoe off. I tilt the toe box up and over and drop the stone into my open palm. A brilliant, beautiful diamond shines up at me, reflecting the beams of sunlight directly to my heart. A lovely, easy path. A more real, genuine path with some flaws. A pebble that makes you stop. A diamond. Even diamonds can give you blisters. But life’s diamonds bring you joy. Who, or what, is your life’s diamond? How could this story apply to your life this moment? Or could it? Me? Yeah. Definitely the kids. Todays thoughtful post was brought to you by a screaming toddler in my house from the hours of 3 a.m. till 4:30 a.m. Teeth? Who will know. But seriously. Have a joyous day. Go for a walk. Swat some bugs. Hug those you love. Bask in something you worked hard to accomplish. 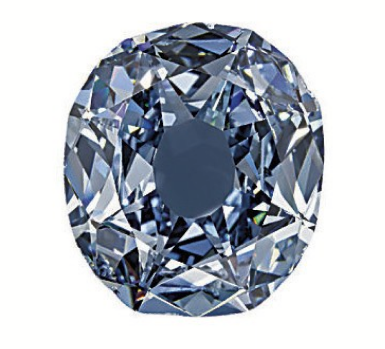 Did you walk too long on your diamond before taking it out to appreciate it? It’s okay. Find some Band-Aids. Feel the warmth of life in your heart. Give and smile. This entry was posted in Odds and Ends, Parenting on August 18, 2015 by thehomeschoolingdoctor.